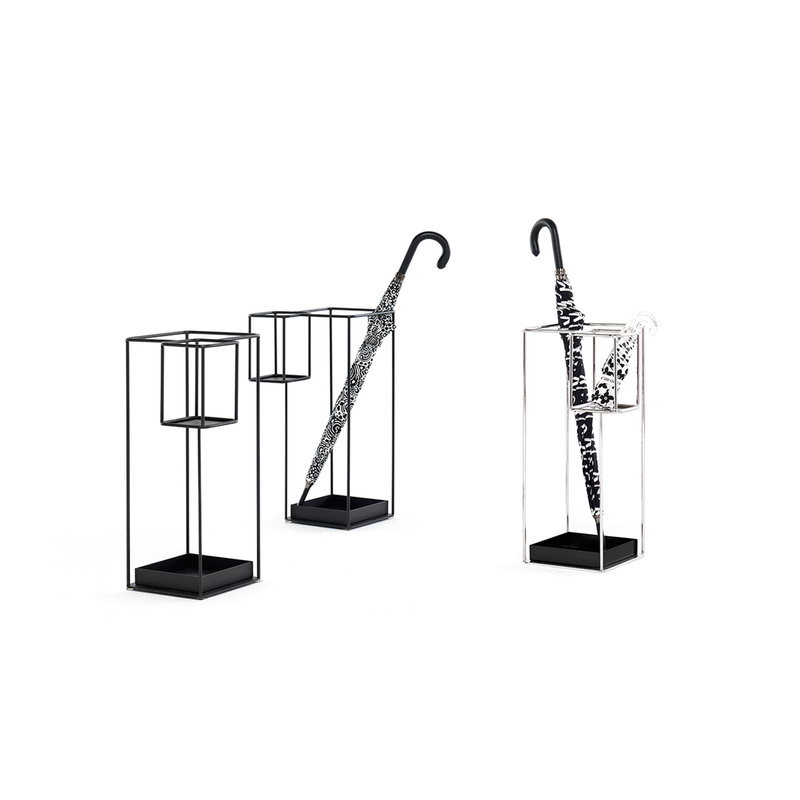 Duo is an umbrella stand designed to effectively house both folding and traditional umbrellas. Duo was conceived and created by designer Carlo Contin for Mogg company. 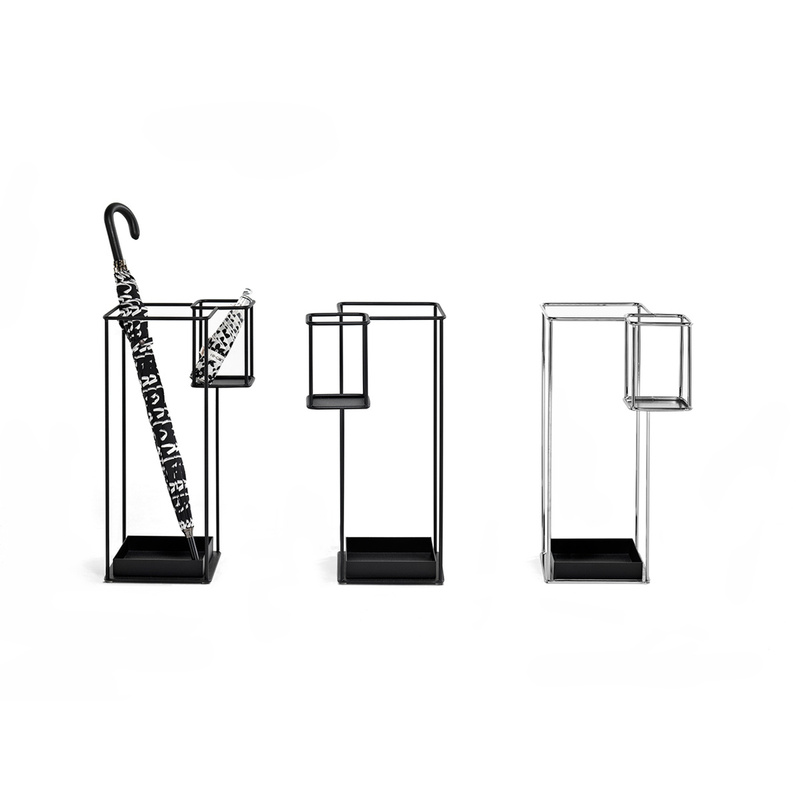 Simple and sophisticated at the same time, this designer umbrella stand is entirely made of metal. This useful home accessory, thanks to its dual function, is perfect to be used for both traditional and folding umbrellas with the help of the small inner compartment. It has a simple, straightforward design and this makes it an object not pretentious but also sophisticated and modern. Duo will give a new twist to for your apartment, office or shop. Its compact size is perfect also for smaller spaces. Both compartments have a steel bottom with a slightly raised lip that prevents water from dripping out. This umbrella stand has no side walls but only 60 cm tall bars. This allows simple, practical, efficient and easy cleaning operations. 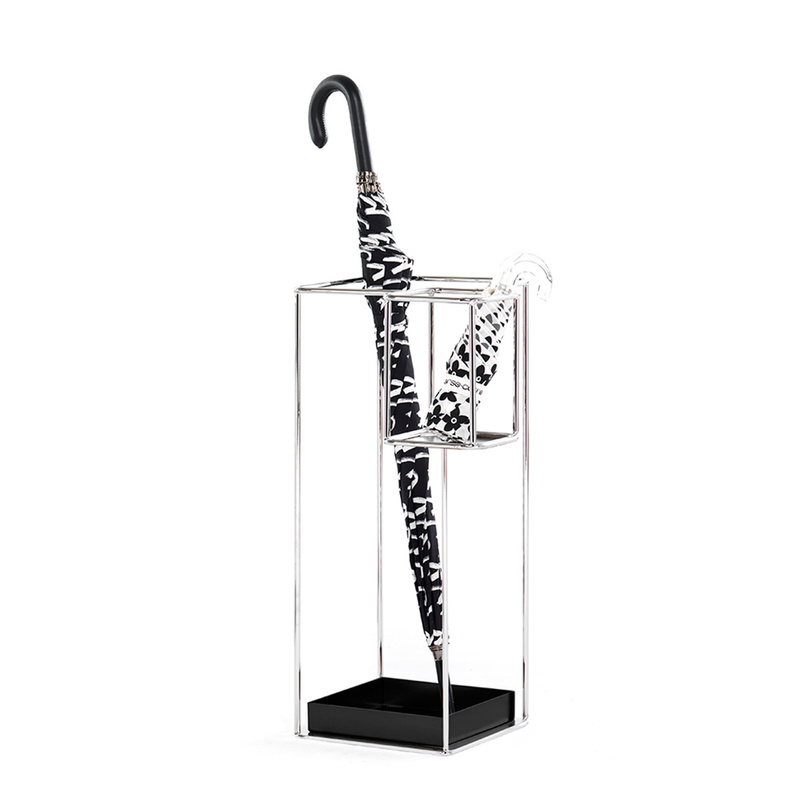 If you are a business owner and are tired of people wetting your shop floor or if you need an umbrella stands for your apartment, this designer umbrella stand is just the right item for you. The Duo umbrella stand is easily adaptable to any decor thanks to its design, its compact size and convenient double compartment. 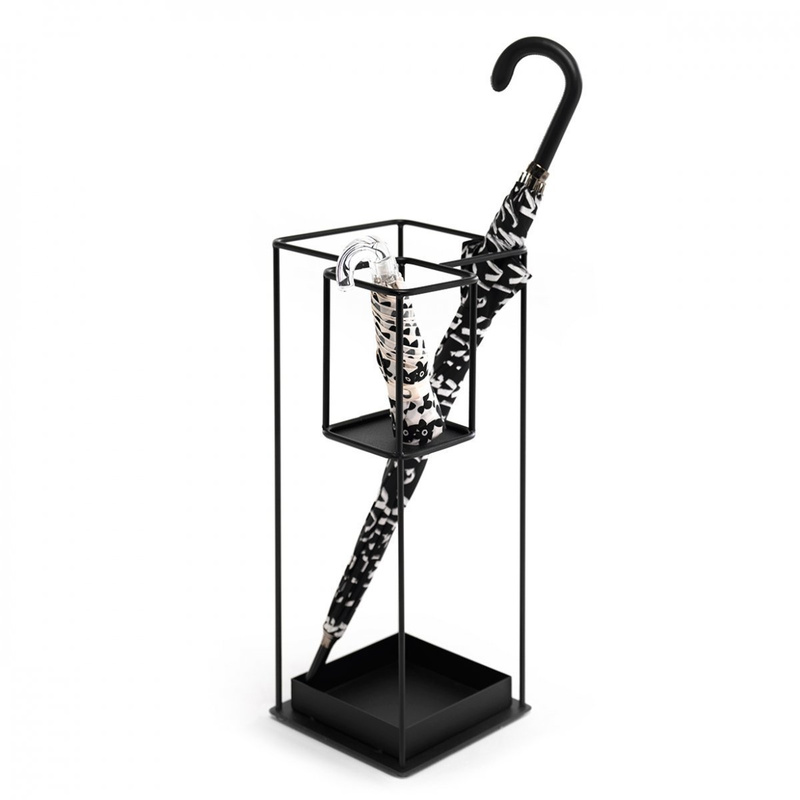 This unique umbrella stand is perfect to keep outside of your front door when it rains, but it is also easy to store away when not needed. It will enrich your home with a beautiful designer item that makes even the greyest and grimmest of rainy days a blessing. 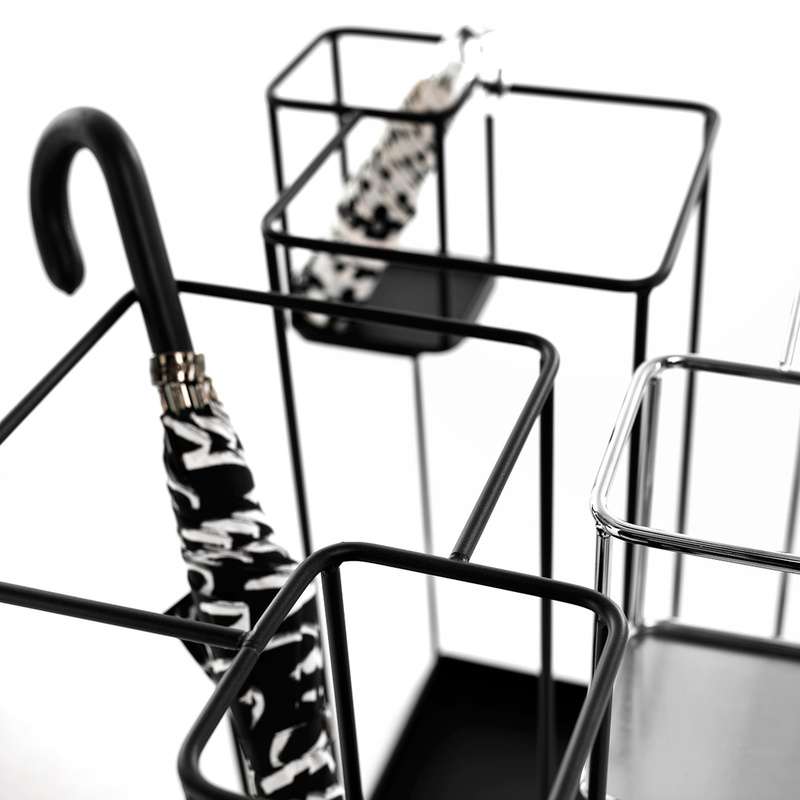 The Duo umbrella stand by Mogg is available on sale online in two colour options - black or chrome. You are sure to find the right one for you. Carlo Contin was born 24 August 1967 in Limbiate, MI ITALY. From 1991 to 1997 he worked as an manager in the field of furniture. 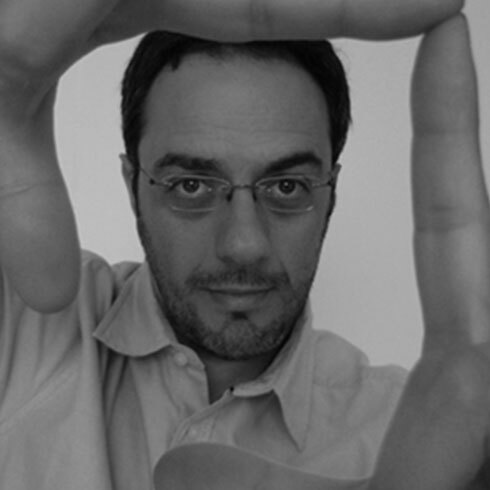 In February 1998, he opened her own office, dealing with industrial design, interior architecture and crafts: From 1999 to 2003 he participated in several editions of the "Hall Satellite "beginning to work with some of the most important Italian companies in the field of design: In 2010, La Triennale di Milano, dedicates a monographic exhibition on his work, at the invitation of Silvana Annichiarico, director the Triennale Design Museum, curated by Joseph Grima, entitled "Interventions in the domestic sphere. On the occasion of the exhibition Electa will publish a monograph with photographs of Ramak Fazel. Among his clients: Coop Italy, Caps, Fambuena, Guzzini, The Fablier, Legnoart, Meritalia, the Museum of Modern Art MoMA New York, Ravarini Castoldi, Slamp and Sphaus, Mogg.